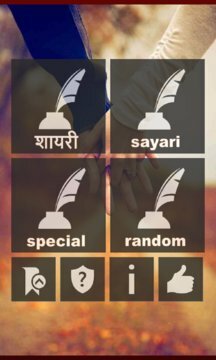 Find the perfect shayari to share with your loved ones through other social networking or instant messenger apps. 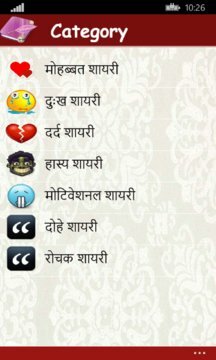 Very user friendly and simple, but very useful. And what's more, you don't even have to connect to the internet to access the content, its OFFLINE!